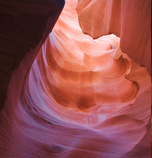 The Page, Arizona area is one of most unique places on earth for adventure photography. 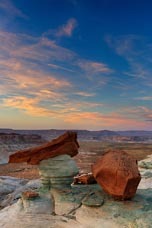 Located near magnificent Lake Powell, Page is located on the Arizona/Utah border near Glen Canyon Dam. This is where the power of the desert winds and Colorado River has sculpted some of the most dramatic scenery on earth and makes this a one-of-a-kind destination. The ultimate photographic journey, the area’s surreal sandstone slot canyons, sensational sunrises and sunsets coupled with awe-inspiring overlooks are not to be missed. 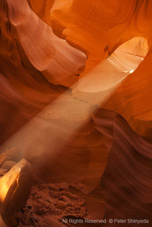 This private workshop is designed to take full advantage of the unique geology surrounding Page, Arizona and southern Utah. The locations we will visit include Upper and Lower Antelope Canyon, Horse Shoe Bend, a number of Lake Powell/Colorado River overlooks and various scenic sites of Utah’s high desert in and around Grand Staircase National Monuments. This workshop offers a unique opportunity to capture the iconic images near Page, Arizona and Grand Staircase National Monuments. Our workshops are led by group leaders with intimate knowledge of the area and exceptional photographic and workshop experience. Our sessions are highly personalized and designed to maximize one-on-one interaction with participants and further develop photographic skills. Workshop fee includes instruction fees. The workshop fee does not include entrance fees to Upper and Lower Antelope, lodging, transportation, meals, and personal expenses. 4-wheel drive vehicle is not reqired for this workshop. Please bring your own equipment. We recommend a sturdy tripod, circular polarizer, split natural density filters. Wide angle and medium focal length lenses (17mm ~ 100 mm) are a must. A notebook computer with photo editing software for post shoot critique is also recommended.